Including a water feature to your Cleveland landscape design adds something special to your surroundings. One of the most popular landscaping water features is waterfalls because they add soothing sounds, visual stimulation, and vertical movement to a landscape. 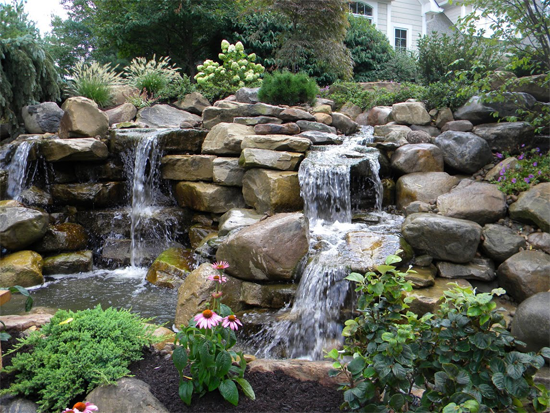 Need inspiration for your own backyard waterfall? Get some inspiration from one of these four inspiring waterfalls from the Shenandoah Valley. 1. Overrun Falls. 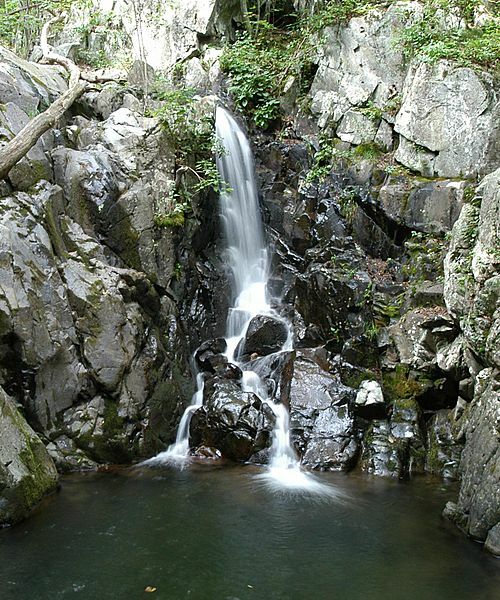 If you trek the 6.4-mile Overrun Falls Trail (round trip), you'll be rewarded with Shenandoah National Park's highest waterfalls. At 93 feet in height, these falls are truly impressive. No matter what time of year you see Overrun Falls, you'll also get a chance to see expansive views of Massanutten Mountain, gorges, valleys, and imposing rock ledges. When using Overrun Falls for inspiration for your own waterfalls, think height. As the highest falls in Shenandoah National Park, Overrun Falls give a tremendous sense of motion. A tall water feature adds drama and dimension to a landscape, which may be just what your own landscape needs. 2. Rose River Falls. Water parallels the trail to Rose River Falls nearly the entire way. You'll also get to see old homesteads, an abandoned copper mine, and summer wildflowers along the trail. The falls themselves drop 67 feet, and if you see them shortly after it's rained, the cascade will be quite wide. Enjoy the beautiful old hardwood forest with its dense clumps of hemlocks. The hike to Rose River Falls, as well as the falls themselves, could inspire you to enhance your landscaping water feature with other focal points like rock outcroppings, flower beds, or trees. 3. South River Falls. The trail to South River Falls begins at the far side of the South River Picnic Area. Don't be fooled by the ease of the first half of the trail because the hike soon gets steep. Along the way, you'll see numerous tiny waterfalls, which provide beautiful resting spots. Some visitors start to wonder if the little falls are the actual South River Falls, but you'll know when you see them. The South River Falls are 83 feet high. You can return back to the picnic area the way you came, or you can continue on the hiking loop and get a closer look at the falls. Either way, bring plenty of water because the climb is steep. The numerous tiny waterfalls may inspire you to include a variety of smaller water features in your own landscaping. Especially if you have a large, uneven area to landscape, a collection of smaller water features may be your solution. 4. Jones Run Falls. Although the hike to these falls is fairly easy, the falls themselves are impressive. You'll only have to navigate a 3.4-mile round trip with a climb of 915 feet, but you'll get to see the lovely Jones Run Falls surrounded by moss, rocks, and shrubs. This is a perfect place to soak up the beauty of Shenandoah National Park--literally. You can sit on the flat rocks right in front of the falls and enjoy the peace and serenity of the falls. Speaking of serenity, Jones Run Falls may inspire you to create a little peace and harmony in your own landscaping. A well-crafted water features can bring a feeling of cohesiveness to your back yard. Do you need to mask the sounds of traffic or noisy neighbors? You can't beat the sounds of falling water to cover unwanted noise and provide a peaceful backdrop for your family and friends. Visit our Shenandoah Valley-inspired 2013 Garden Showcase at this year's Great Big Home and Garden Show. We'll see you there!